Cedar bed that my grandmother (born 1888) inherited from her Mom. In family since mid 1880s. It's smaller than a double and its width is slightly larger than a twin. length is about twin bed length. It's in good condition but not excellent. No mattress. Thank you for submitting a photograph for appraisal through MEARTO. 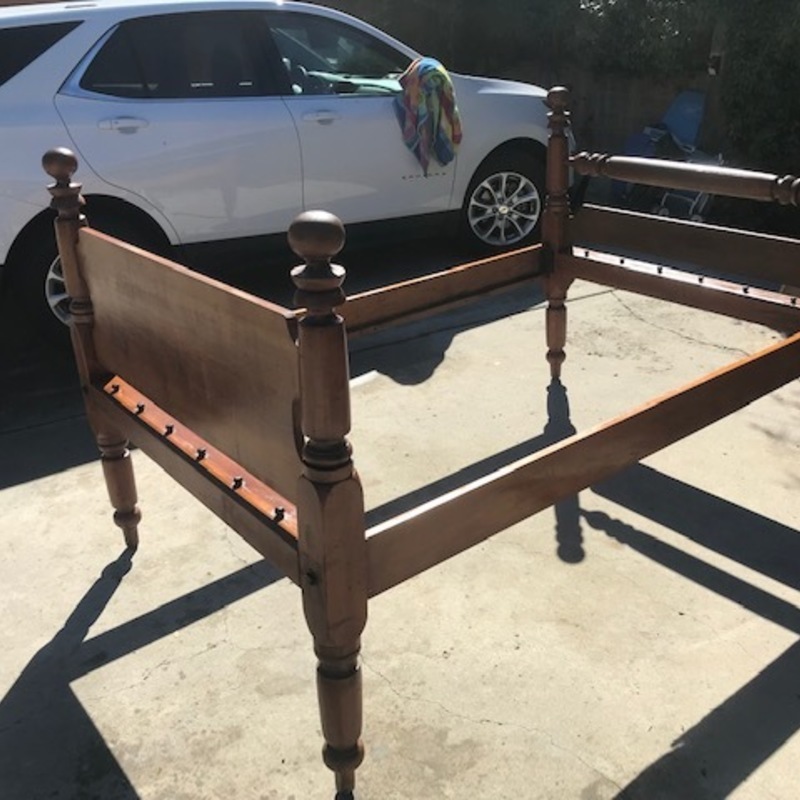 You have a Colonial Revival cannon-ball rope bed. The use of cedar is typical of beds made in the late 19th century, as the wood was fragrant and was resistant to insects. Beds of this style (and now no longer conforming to standard mattress sizes) are not very popular on the marketplace and are usually altered to fit contemporary mattresses. It has a better chance of bringing a better price if sold at a rural auction rather than one in an urban center. I hope this information was helpful to you; please let us know if we can be of any additional assistance.